Feather flags are the best way to generate new business for your brand in professional manner. 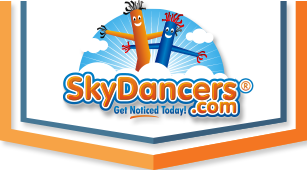 The SkyDancers.com Food & Restaurant feather flags can boost the brand image of your business in an attractive manner. The Shave Ice blue colored feather flag set is 12 feet in height and offers excellent visibility from a long distance. The feather flag set has got ‘Shave Ice’ printed on a blue colored background on both the front and back. The Shave Iced feather flag set is made from quality materials and guarantees great durability and functionality. It is also wind resistant and provides great visibility from all angles. The feather flag set comes with accessories such as brand poles and ground spikes. It is in stock and ready for shipment today!